Materials: 64% Cotton, 36% Chambray. This dress is a must have piece for your summer wardrobe. 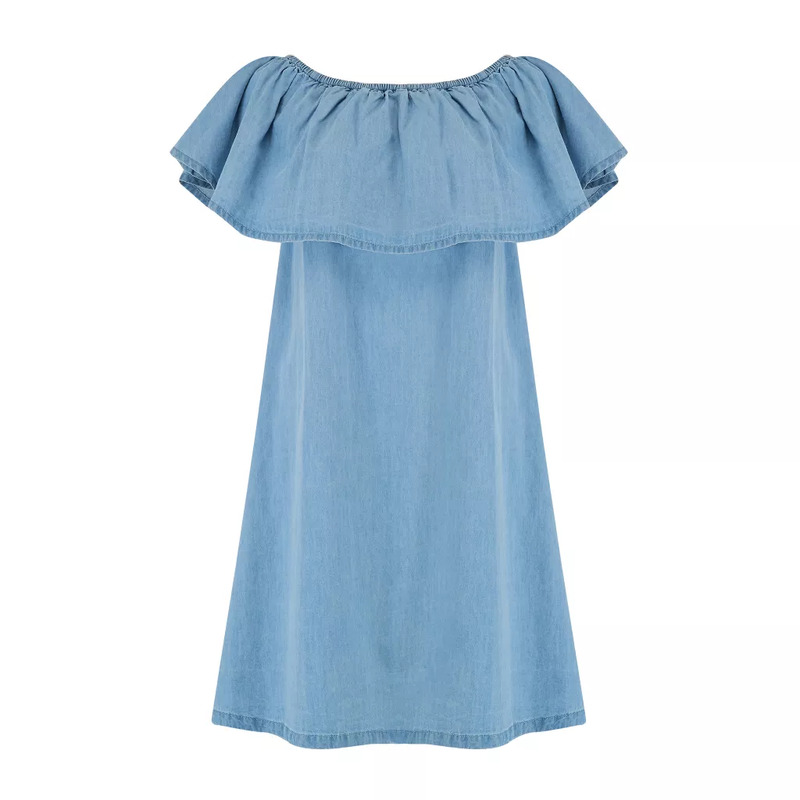 On trend off the shoulder style.